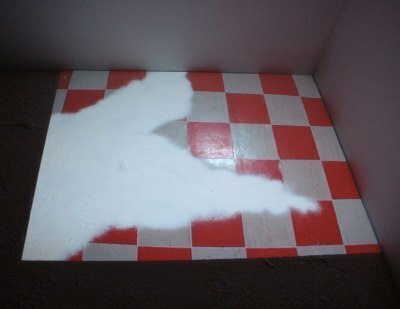 White room,video projected on flour. 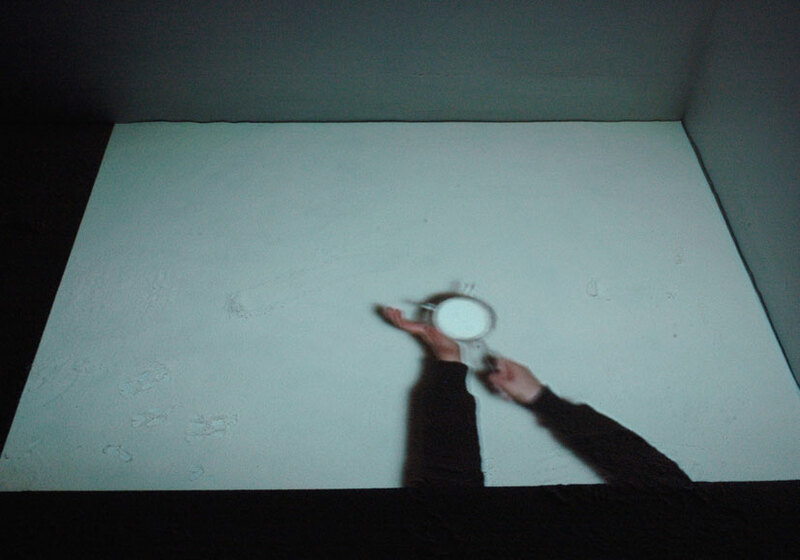 The video is influenced by the ghost haunting programs on TV. 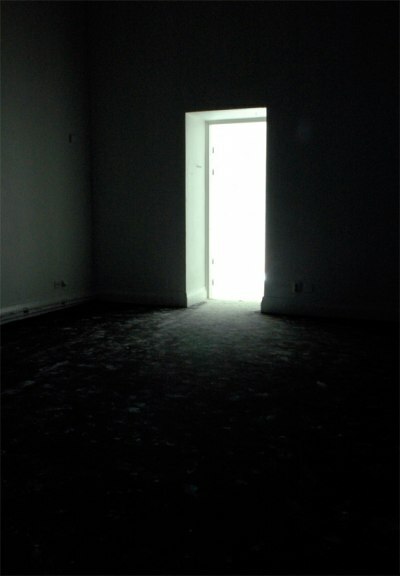 The haunters tried to catch the traces of an elementar ghost in a haunted house. 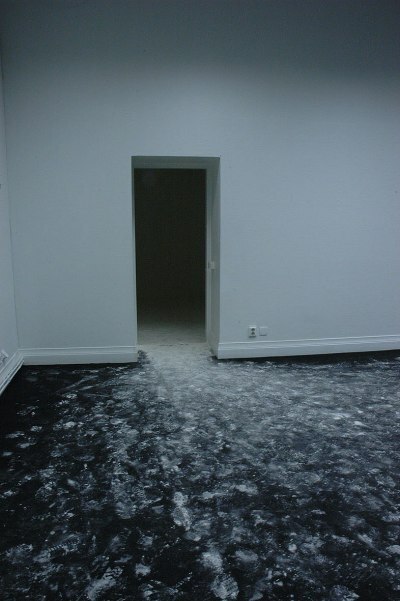 They poored flour on the floor to see if the ghost was there. In the video Element a hand is powdering a red and white checkered floor with flour. 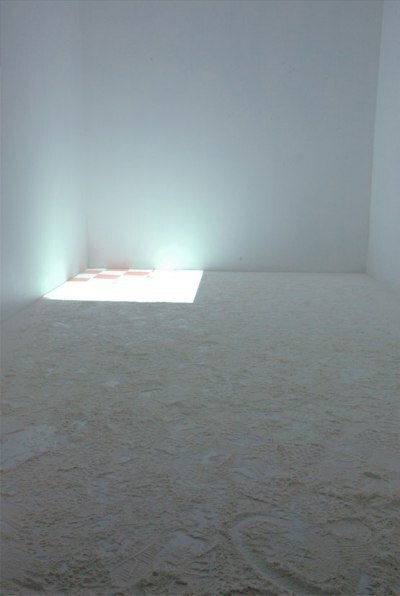 In the gallery the floor was powdered with layers of flour. 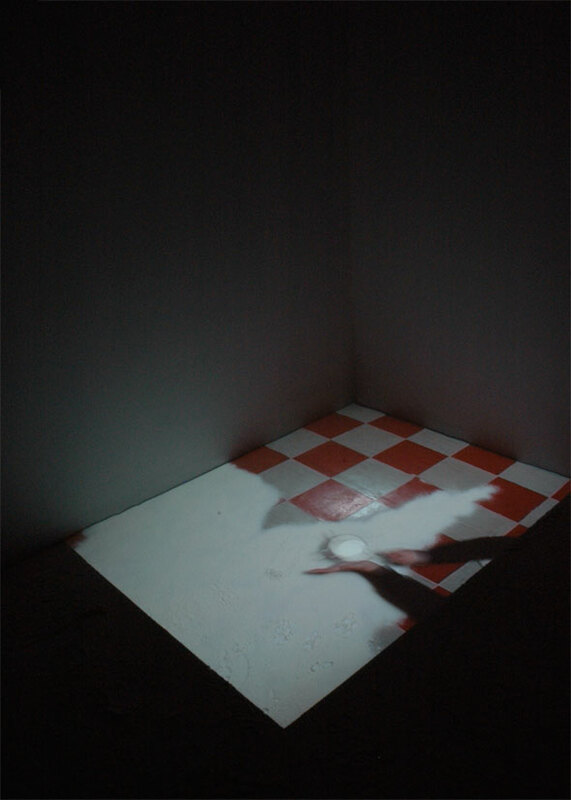 The video was projected on the flour and the visitors left the gallery room with flour under their feets so they created their own traces. 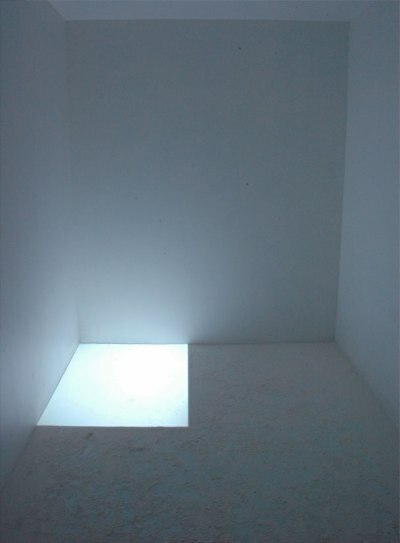 Element is recorded in the same house as the motifs in the video The other side are taken from.